Now I have been on a banana kick recently but this flavor sounds so uninspired. I mean, when is the last time you've had a banana split that only consisted of cherry and fudge sauce? Exactly, never! Nothing about this flavor's description reminds me of a banana split at all. I guess Banana Chocolate Cherry Swirl isn't all that appealing of a name. Heck, the ice cream even looks as uninspired as its name. If you're just going to have swirls, they better be thick and everywhere. That is certainly not the case here. The taste makes it a trifecta of uninspiredness. Sure the banana base is pleasant and better than most brands flavorwise. You're not getting any of that artificalness which is a plus. The problem here is the swirls. The cherry swirl is hard, I mean rock hard. 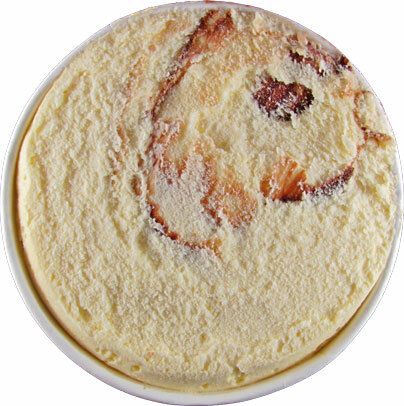 When you're able to break some off, you're left with an icy, almost flavorless swirl. It's really one of the worst fruit swirls I've ever encountered. 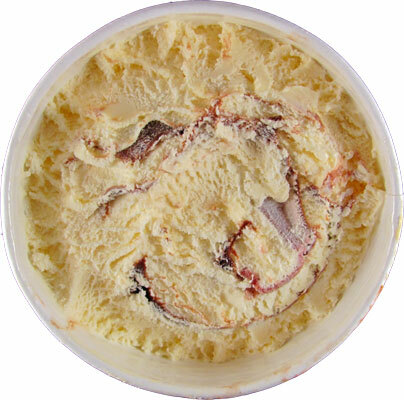 The fudge swirl is far more appealing but the problem is, it's not fudge. It's just another run of the mill glorified chocolate syrup swirl. Thankfully there's more of it than the cherry so you're getting more of a chocolate covered banana vibe. Still that's not enough to remotely keep my interest at all. 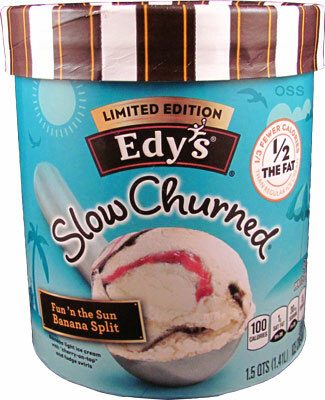 While Edy's makes a respectable banana ice cream, it really needs to work on the mix-ins. I'd have no problems if they were to reuse the base and come out with their own version of Chunky Monkey. At least that would be more creative than this limited edition. On Second Scoop: I know I sounded brutal in the initial review but that's how I feel about this flavor. I tried giving this one another go with a clear mind and my opinion hasn't changed. Thankfully I have banana loving friends who would more than likely finish this container for me. Agree summer had an uninspiring lineup; fall/winter has to be better, right? Swirls and slow churned just don't seem to work for me either: I tried Cinnamon Bun Fun twice before just going with the Grand version (which at least was OK). Anon, their cream cheese swirls in the red velvet were good for me. It's just that there needs to be more going on for it to be a banana split in my mind. Here's hoping we see new flavors for this fall instead of the usual pumpkin, eggnog and peppermint.